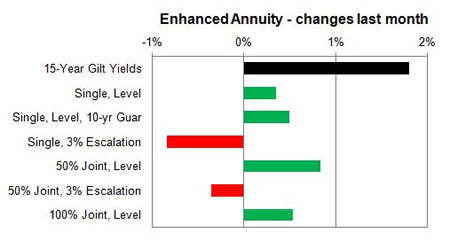 Providers have increased the latest annuities after the 15-year gilt yields rise as high as 1.31% ending 18 basis points up over the month following investor selloff of US bonds. Investors in the US have been selling government bonds in anticipation the Federal Reserve will increase interest rates. In addition the European Central Bank (ECB) also signaled they intend to be less committed to extending the European Union stimulus programme resulting in a selloff in European bonds. The combination increased 15-year gilt yields to their highest level since the EU Referendum of 1.31% before closing for the month at 1.16% up 18 basis points. Standard providers increase rates slightly by an average of 0.37% and we would expect in the short term rates may increase further by 1.43%. For smoker and enhanced annuity providers increased their rates by an average of 0.18% on average and in the short term rates may increase by 1.62%. 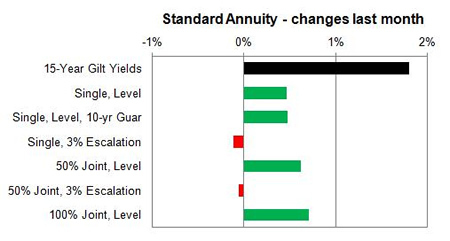 For the month of September 77% of annuity rates increased by up to 2.5% following investor selloff of US government bonds with only 12% decreasing by up to 4.8% and 11% remaining unchanged. Standard annuities increased by an average of 0.37% during the month by up to 1.2%% for those aged 55 to 60 buying single and joint life annuities. The largest decrease was for those aged 55 buying 3% escalating annuities lower by 3.9%. For enhanced and smoker providers rates increased by an average of 0.18% with a larger rise of up to 2.5% for those aged 60 buying 50% joint life, level annuities. 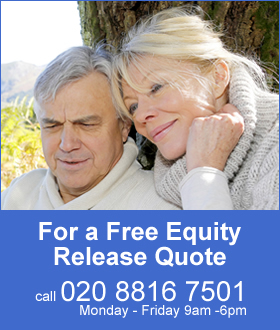 The largest decrease was for those single life aged 55 buying 3% escalating annuities lower by 4.6%.